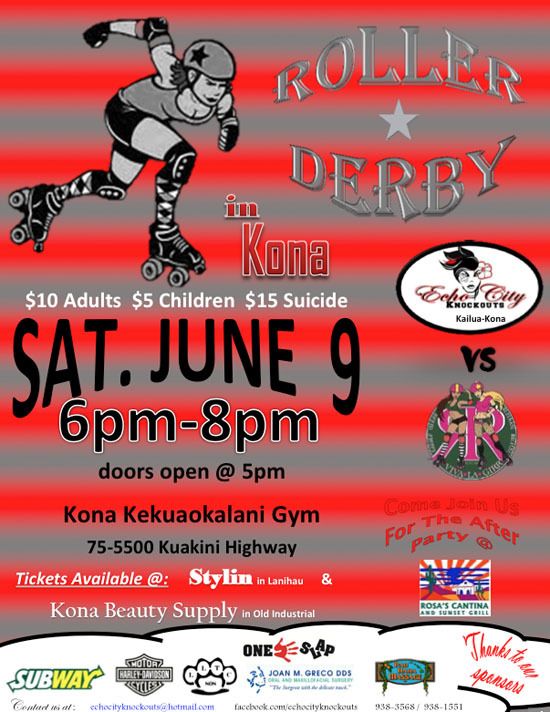 Echo City Knockouts take on Team Aloha Special (GIRR & Maui Rollergirls) at 6 p.m. Saturday, June 9 at Kona Kekuaokalani Gym. Doors open at 5 p.m. After party at Rosa’s Cantina and Sunset Grill. Tickets available at Stylin and Kona Beauty Supply.